Hello there, today in this Howto guide we will show you how you can install Xposed framework on Android running on Marshmallow. Xposed framework, Created by developer Rovo89 is the most popular reason for rooting most of the Android devices. 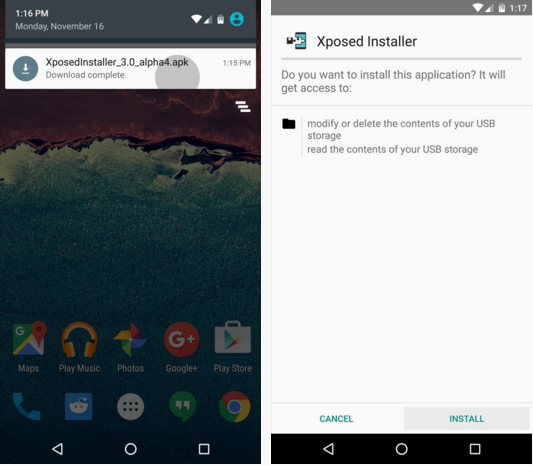 Xposed basically hooks into the Android system with superuser permissions, then allows users to install mini-apps called modules that can change almost anything in a device’s interface or other installed apps. So now that the Xposed framework is out for the Android 6.0 Marshmallow, let’s go ahead and start the installation. Now we can install Xposed to almost any Android device running Android 6.0 which means all those tweaks and modules are back in play. To get this thing started, you obviously need a Rooted Android device running Marshmallow and make sure your device has Custom Recovery installed with Unknown Sources enabled via settings. There is an excpetion for Samsung device users, which means Samsung users will need an entirely different version of xposed for Marshmallow. But unfortunately it’s currently unavailable for Samsung devices. 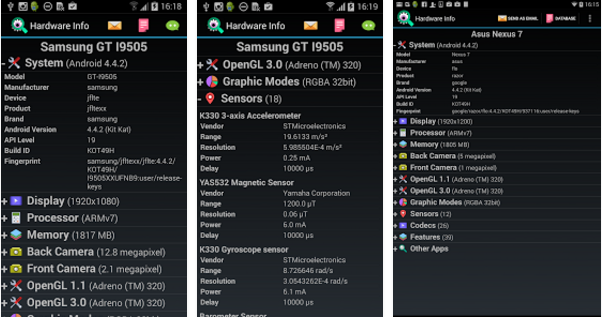 Next, find out what type of processor you have because there are three different CPU specific version of Xposed framework now. To find out this, install a free app from play store called “Android hardware info”. Once installed, open the app and tap on “processors” entry. Now here look for one of three different CPU architectures – ARMv7, ARM64 or x86. Now that the zip file and Apk is saved on your device, it’s time to boot your device in recovery mode and flash the Xposed framework zip. To do so, Turnoff your device, when the screen goes black, hold the “Volume down and power button simultaneously. 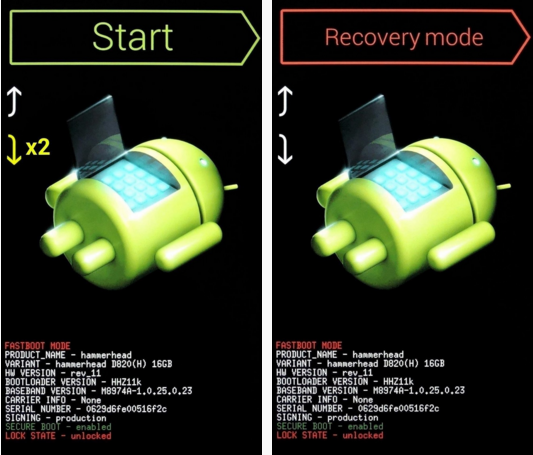 After a few seconds, android’s bootloader menu should apear. From here press the volume down button twice to highlight the recovery mode and press the power button to select it. Now before flashing any kind of zip, it’s highly recommended to create a Nandroid backup. 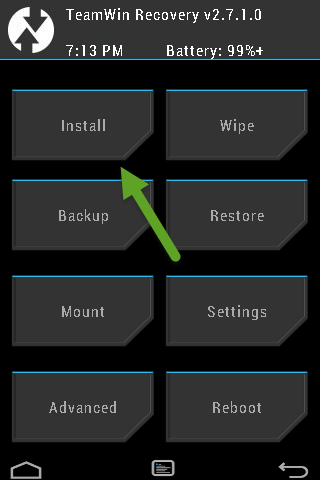 Once you have completed the backuo process, just go ahead and tap on install button on TWRP recovery, and then navigate to the folder where Xposed framework zip is stored and tap on it. AT last, swipe the slider to start flashing the zip file and install Xposed framework. Once finished, tap on Reboot sytstem. If asked, tap “do not install” on the screen. Please note that it will take a lot longer to boot up than it normally does (20 minutes approx.) again depends upon device. Now once finished booting, it’s tme to install the Xposed framework installer apk we downloaded earlier so that you can download and manage the modules. To install, tap on apk file and install it. Now open Xposed framework installer app you just installed, and you can start downloading some amazing modules for your device. Note: Most of the modules are yet to be updated for Android 6.0 Marshmallow. So they might not work and you’ll have to wait for the updates. Eg. Gravity box, Adavanced power menu etc. But modules which only affect apps should already be working. We hope you liked this Howto guide, please let’s us know what are the first modules you installed on your Android Marshmallow device. Again, please subscribe us for more such How to guides, tech updates and much more or like us/follow us on Twitter, facebook or Google+. We would really appreciate if you share this article. We’ll be back with new Howto Guide soon.